A visionary National Lottery funded project linking the 2012 London Olympics and the centenary of Benjamin Britten's birth in the following year has been revealed by sources close to the Britten-Pears Foundation in Aldeburgh. 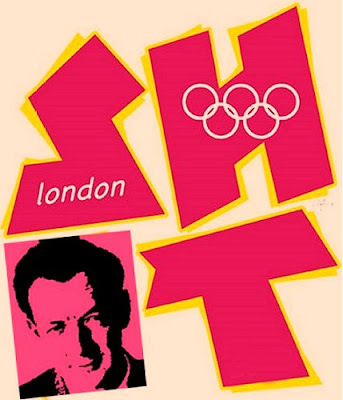 Following the close of the sports Olympics in August 2012 the first ever cycle of all sixteen of Benjamin Britten's operas will be given fully-staged productions in the Olympic venues over a fifteen month period. Orchestral forces are being provided by an augmented Britten Sinfonia and the ensemble's involvement is reflected in the grant increase awarded by Arts Council England this week. In an initiative inspired by the 2008 performance of Stockhausen's Gruppen at Berlin's former Tempelhof Airport the site specific opera productions will include Gloriana at the Olympic Stadium, Death in Venice at the Aquatics Centre and The Turn of the Screw at the Velodrome, with the Olympic Festival of Britten ending on the centenary of the composer's birth, November 22, 2013 in a gala performance of Peter Grimes at Lee Valley White Water Centre which will be attended by HRH the Prince of Wales. All the operas are to be transmitted as global HD simulcasts and directors whose names have been connected with the project include Francesca Zambello, Bob Wilson and Hans Neuenfels. Full details of the Olympic Festival of Britten are expected to be announced by UK Secretary of State for Culture, Olympics, Media and Sport Jeremy Hunt in May. Yes, we do know today's date. So wonderful to read that the UK Government has finally revised its funding spending upwards to finance such exciting projects. Briliant - best one I've seen so far! have they managed to persuade Russell Watson to sing Captain Vere?